A lot of dog training advice you get on the Internet won’t help. Pretty strange comment coming from a dog blogger who frequently writes about training, right? But even if people recommend a humane, positive reinforcement-based approach, something is missing that can’t be done in a typical online discussion. That’s the functional assessment. A functional assessment, or functional behavioral assessment, is a method from the field of applied behavior analysis (ABA). It consists of identifying the functions of a problem behavior through observation and analysis, then making a plan to decrease that behavior and enable a more appropriate one. In most countries, anyone can hang out a shingle and call herself a dog trainer. The public needs tools to distinguish between the pain-based trainers, the charlatans, the wannabes, the well-intentioned—and the knowledgeable and ethical dog trainers. To that end, some of us online have created resources to assess professional dog trainers. I have links to some others at the end of this post. One way to tell is that any knowledgeable and ethical dog trainer will perform a functional assessment before intervening in a dog’s behavior. They may not call it by that name, and they may or may not use scientific terminology when discussing it with you. If they do use scientific terminology, they will define it and won’t just start throwing it at you. This post will teach you to recognize the process of a functional assessment and thereby help you know whether you have an informed trainer advising you. A knowledgeable trainer needs to know what the problem behavior is, what prompts it, and what it accomplishes. The first thing a qualified trainer will usually ask you about is the behavior itself. All other questions are pointless unless she has a really good description of the behavior. Not in vague terms like, “The dog is acting dominant,” or “I think he’s being protective.” Those are interpretations, not observations. The trainer will ask you in detail about exactly what the dog is doing. She needs to be able to visualize the behavior from your description. The questions in this section and following are typical of what a trainer may ask. A trainer may not ask all of them, since some may not apply to your situation. They are a sampling of what type of questions to expect. And remember: you can ask the trainer questions, too! A good trainer will take the time to clarify whatever you ask about. 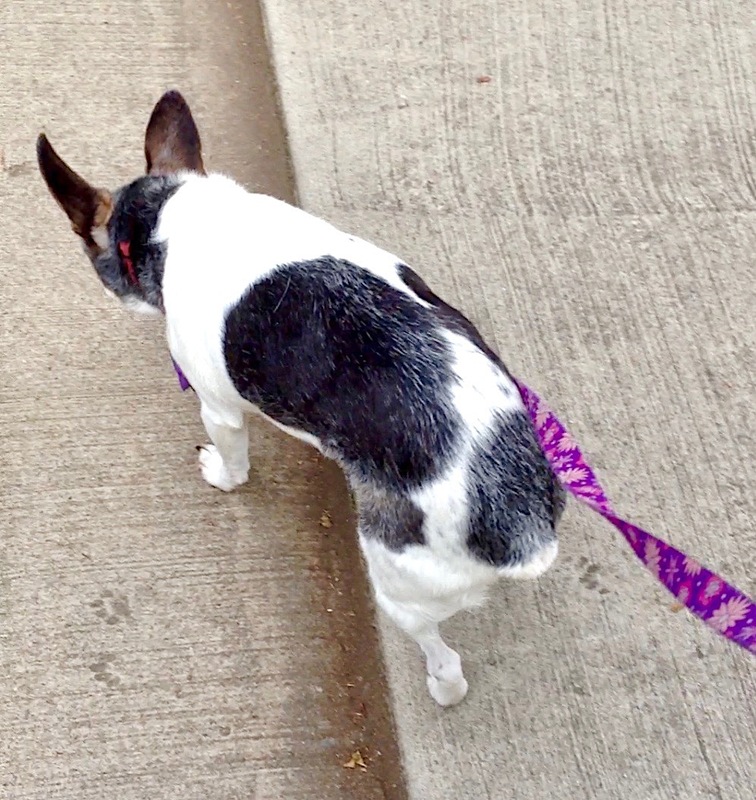 If you say your dog pulls on leash, she may ask how hard and in what directions. Does he forge ahead or lag behind? What does the behavior look like? What does it feel like to be on the other end of the leash? Does the dog vocalize? What else is the dog doing while pulling? Is there a way to measure anything about the behavior? What do you observe about the dog’s body language? Tail carriage? Vigilance? She will probably ask you questions to determine whether the dog is scared or not. Does he seem to be trying to get to something or away from something? She’ll likely ask you where and under what circumstances the dog pulls. How often does it happen? She may what kind of gear you use. Does he do it when different people walk him? What happens just before the walk? How do you start off the walk? What time of day is it? What is in the environment when you walk? Who and what else is out there? These are questions about antecedents: what sets the stage for the behavior? For instance, a doorbell ringing might be an antecedent to your dog barking wildly at the door. A fire hydrant in sight might be an antecedent to your dog’s pulling harder on-leash. The trainer needs to know, in detail, what is setting the stage for the dog’s behavior. Then come the questions about consequences. She’ll try to determine whether the dog is pulling towards a goal. She may ask you what he does if you just “give him his head.” She’ll likely ask what you have tried to modify the behavior. She may create a way to measure the frequency or intensity of the behavior and ask you to track it or make estimates. The trainer wants to know what the dog is getting from performing the behavior. She must know the consequences before she can create a plan to change the behavior. Humane trainers will either help you train the dog another way to get those consequences, or set up other consequences the dog enjoys (aka positive reinforcement) to take the place of the ones she is seeking on her own. The trainer will also probably ask you the backstory, even if you have already filled out paperwork. She’ll ask about the dog’s history with you and what you know of his history before you had him. Depending on the behavior you contacted her about, she may ask questions about the dog’s medical history. The leash example is not a good one for this, but what if your dog has started to refuse to jump in the car to go on a trip? Or has suddenly stopped playing with his favorite buddy, or growls when you reach out to pet him? Trainers are not veterinarians, but because medical problems are at the root of some behavior problems, their first recommendation to you may be that you take the dog to a vet. The trainer’s goal is to get the best picture possible of the problem behavior and the circumstances surrounding it. In some cases, she will ask to see it, but be aware that sometimes she won’t. If it’s something like leash pulling she may want to observe it and test the dog herself. But if you have called her because your dog growled at your child, she definitely won’t. If it’s a dangerous behavior or if you have to scare your dog to prompt it, she will not want a demonstration. But she will want to observe your dog in other situations and interact with him in order to gather more information about his general behavior. If there are safe ways for her to check aspects of the problem behavior by handling him herself and make direct observations, she may do so. Dogs pull on leash for different reasons. So let’s consider four leash pulling dogs. A functional assessment might illuminate the following. Dog A pulls wildly in the direction of home and appears scared. Dog B pulls constantly ahead of his person because his normal pace is fast. He loves to run. Dog C pulls only when he sees squirrels. Dog D pulls constantly to one side. She has dementia. Skilled trainers would design very different training and management plans for all of these situations. Pulling based on fear, differences in speed of gait between the dog and the handler, response to a potent distraction, and cognitive decline would necessitate completely different approaches. This should be obvious by now, right? If your dog has Behavior Problem X and you post in a Facebook group asking for advice, you will get plenty. And it may include links to some excellent blogs and YouTube videos with well thought-out advice (along with some stuff that is probably not as good, and possibly some stuff that is horrifying). What’s the problem with the good stuff? The advice won’t take your dog’s individual situation into account. And if you are a beginning trainer, you won’t know how to do the functional assessment yourself. You won’t know what is relevant and important to describe about your dog’s situation. You also won’t have the knowledge about dog behavior from an ethological perspective that a professional will. Beginning trainers (and some not so beginning ones!) also don’t know how to create a training plan. A professional trainer will create a plan to set criteria, track repetitions, and break down the components of a behavior so as to set intermediate goals (approximations of the final behavior) as benchmarks. She will teach you the mechanical skills to implement your part of the plan and help you practice. So if you have the scared leash-pulling dog and your only resource is the Internet, you could follow the best thought-out, most humane, most straightforward loose leash walking method there is, but it probably wouldn’t work. And even with your good intentions, it might not be humane. You would be taking your dog repeatedly to an environment where he is scared, trying to teach him something challenging when he just wants to run home. Without a functional behavioral assessment, trying to change behavior is a shot in the dark. Our dogs deserve better. I hope this description helps shed a little light on the science of learning theory and how to determine whether a trainer you are interviewing or have hired knows their stuff. Thank you to the people who read drafts and offered advice about this post.